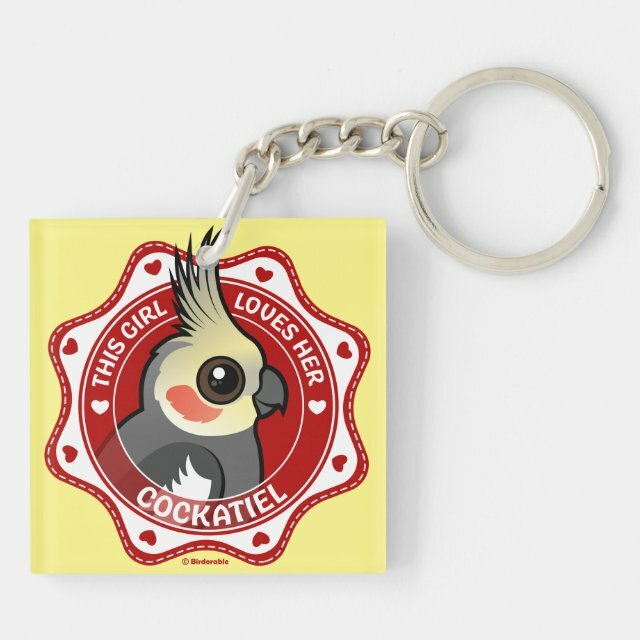 This is an adorable original design for girls and women who love Cockatiels ! Our cute cartoon bird is shown in profile along with the title slogan and red and white hearts. You can customize this product! Move the design around, change the product color or style, add text or images -- make it your own! If you'd like to see this Cockatiel lover design on a different product not currently available, please send us a message and we can make the product available in our store. This square keychain is printed on both sides! It measures 1.875" by 1.875" and is made of ultra-durable acrylic material to withstand daily wear and tear. Attach this unique, UV resistant and waterproof keychain to your keys or attach to the keys of friends and family for a great gift.